Please provide the information below which will help us to check for available records. One of our team will then be in touch promptly with your options & how to make payment. We focus on quick turnaround & personal service (see our 5-star Facebook reviews). We are always happy to discuss the report findings with you in more detail if required. Postage of original document required ? We can post the official Registration Certificate (Japanese Title) document by Express Mail Service (EMS) for an additional 70 USD. Worldwide delivery typically takes 3 to 5 days & a tracking number will be provided - if you're undecided you can always add this later. Please note that PayPal cannot process payments from Pakistan, India, Bangladesh or Sri Lanka - so unfortunately our service is not available for these countries. What's my VIN & where do I find it ? This is the MOST IMPORTANT data we require as it specifically identifies your vehicle - so please ensure this is 100% correct. 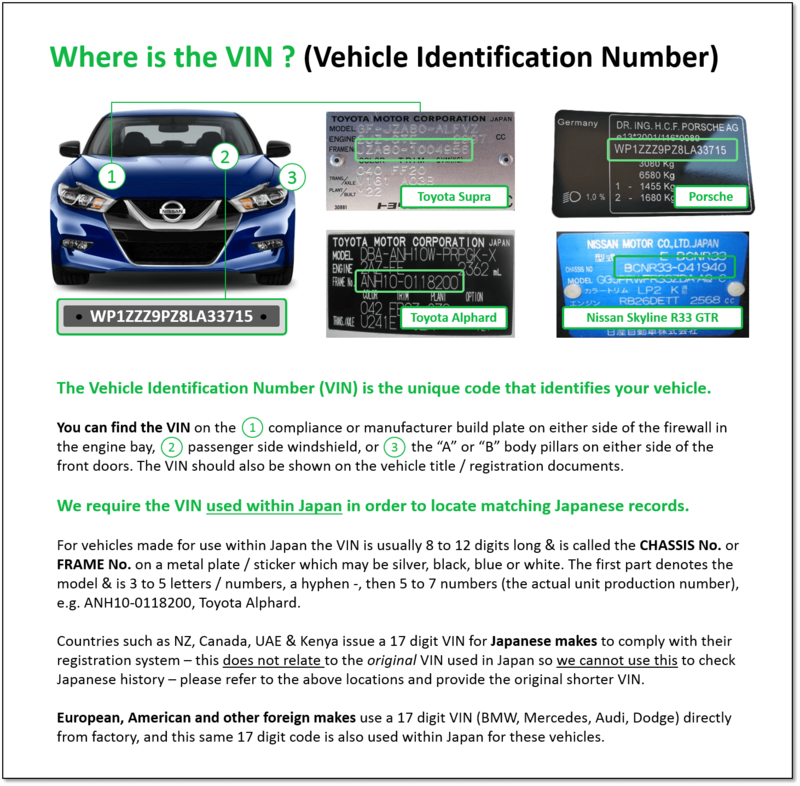 We require the VIN used within Japan – New Zealand, UAE, Canada, Kenya & some other countries issue an entirely new 17 digit VIN for Japanese cars – this is unrelated to the original VIN so CANNOT be used for data searches within Japan. The original VIN can be found on the manufacturer build plate attached to the car. NOTE: The export date from Japan is important & affects available data – auction records are available from 2007 onwards. 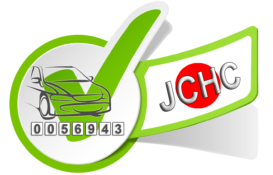 Further details you can provide regarding vehicle history, auction or purchase dates are often helpful in locating records and / or advising the option that best suits your needs. 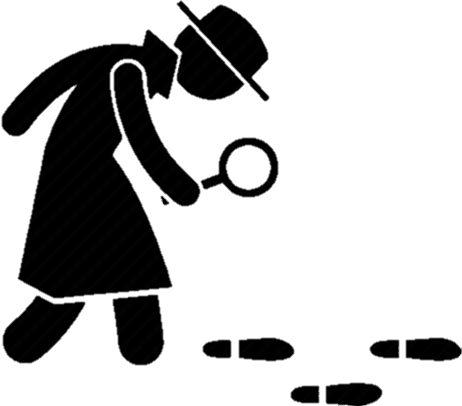 We respond to ALL enquiries within 1 business day (& usually much sooner) – so if you don’t receive our email please check your junk / spam folder first as it might have ended up there. You can also message us on Facebook to let us know. PayPal cannot process payments from Pakistan, India, Bangladesh or Sri Lanka - so unfortunately our service is not available for these countries.